NYX Professional Make Up’s oh-so-chic range of brushes allow you to blend your products seamlessly, with super soft bristles to get your make up looking tip-top. Their Pro Brush Dual Brow features a precision angled brush head allowing you to define your brows and create immaculate arches. While the spooley brush at the other end enables you to tidy any errant brow hairs and gently blur your brow product for a natural finish. Hardworking, reliable and affordable – it pretty much sums up everything that we love about this line. This hardworking dual-sided brow brush has light bristles cut into a slanted shape together, with a spooley wand on the other end, to effortlessly define and tidy brows with a few simple sweeps. It features a minimalist all-black design, with black ferrule complete with subtle NYX Professional Makeup logo. The brand has amassed a loyal army of devotees for their tried-and-true range of products – and their brushes are no exception, allowing you to master all manner of make up techniques with ease. Plus, if you look after these brushes, they will last you a lifetime. Use the angled brush to fill in arches and define the shape with gel, powder or cream pigment. The spooley end can then be used to brush up and outwards (always in the direction of growth) to distribute product or just give a quick tidy. It’s really nice and good price. 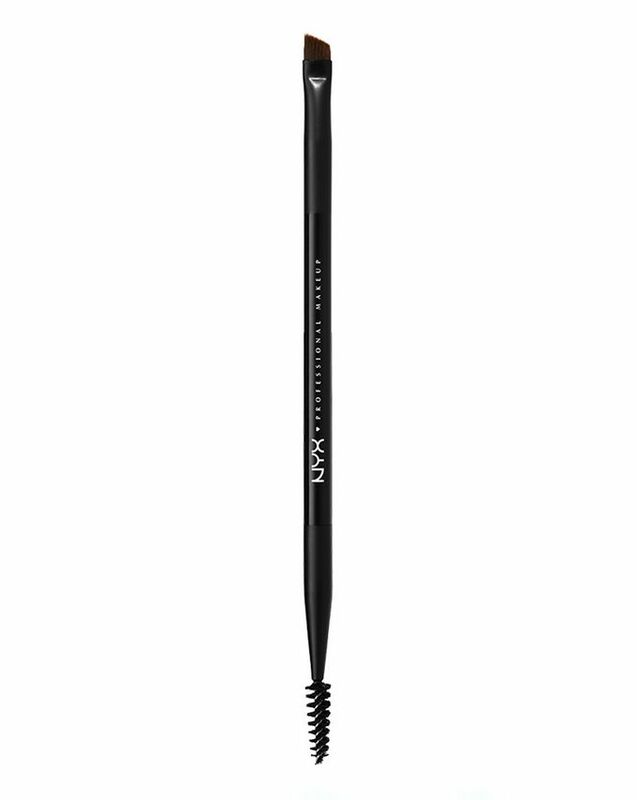 The best angled brush for filling in brows with brow pomade or shadow. I own the ABH number 12 brush and this NYX one is so much better. I really love this brush! It's super thin and it can shape your eyebrows in a minute! I totally recommend it.